Liberty square i Taipei, Taiwan. Plåtat från Chiang Kai-shek Memorial Hall. Foto: Anders Thorsell. Liberty Square (also Freedom Square) is a public plaza covering over 240,000 square meters in the Zhongzheng District of Taipei, Taiwan. 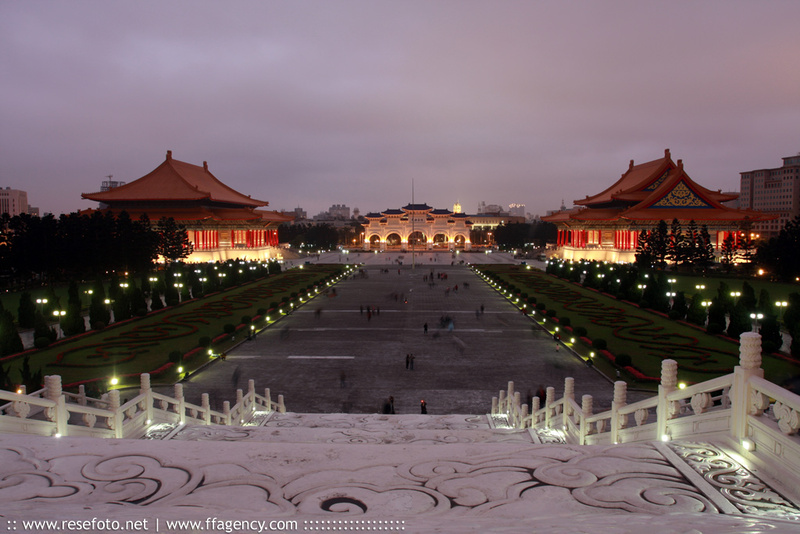 At the east end of Liberty Square stands the National Chiang Kai-shek Memorial Hall. The square is flanked by the National Concert Hall on the north and the National Theater on the south. A park surrounds the plaza and a wall surrounds the site. The square sits within sight of the Presidential Office Building.